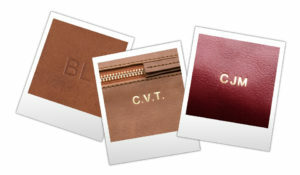 A monogram transfers your ZEMP bag or wallet in an even more unique item. Whether for yourself or someone special, the addition of a monogram lets the recipient know that the gift was hand-picked and carefully considered. Our in-house monogrammers use a traditional hand-deboss technique where the letters are heated & stamped deeply into the leather surface, for lasting quality. This is a time-intensive process that results in a much more distinct monogram than other methods. Below we’ve included more details about our personalization font options, deboss types, motifs, logo options, and more. Note: Personalized items cannot be exchanged or returned. Great attention to detail is paid to each personalized order received. All Monogramming is done by hand and may vary from item to item. We offer the Helvetica uppercase classic typeface for all our monogramming. Please give the right initials or text, as items are specially personalized for you & cannot be exchanged or returned. All monogram options are placed on one line. Monogramming is generally limited to 4 letters but please enquire if you would like more than 4 letters. We offer one font in the following sizes – Helvetica 24pt and Helvetica 36pt. 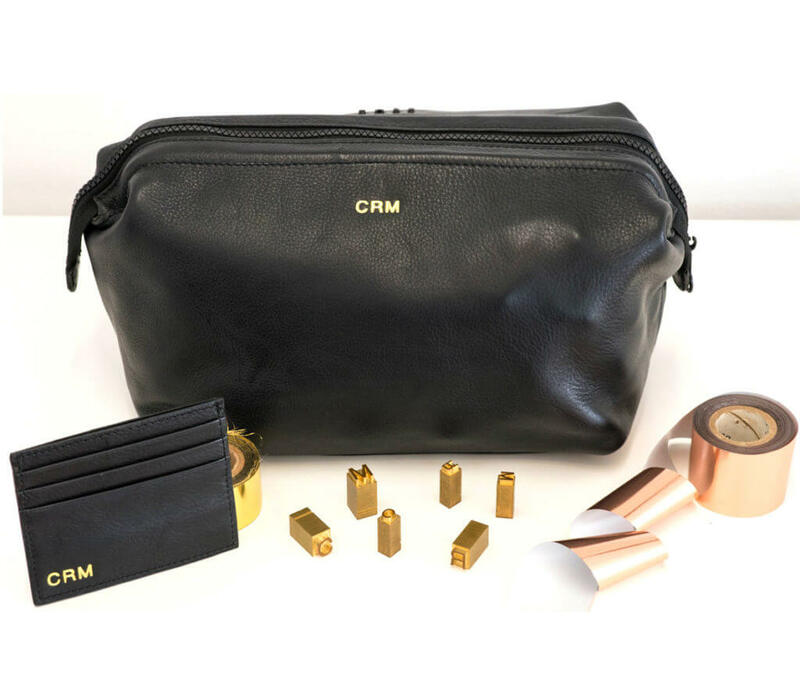 We automatically choose 24pt for wallets and other small leather goods and 36pt for bags and satchels, although when you include numbers and symbols to your bag monogram we only use 24pt. All letters are the same font size and are debossed in the same order they are entered. Brass dies are heated and stamped into the leather leaving no color or slightly burnishing some leathers. 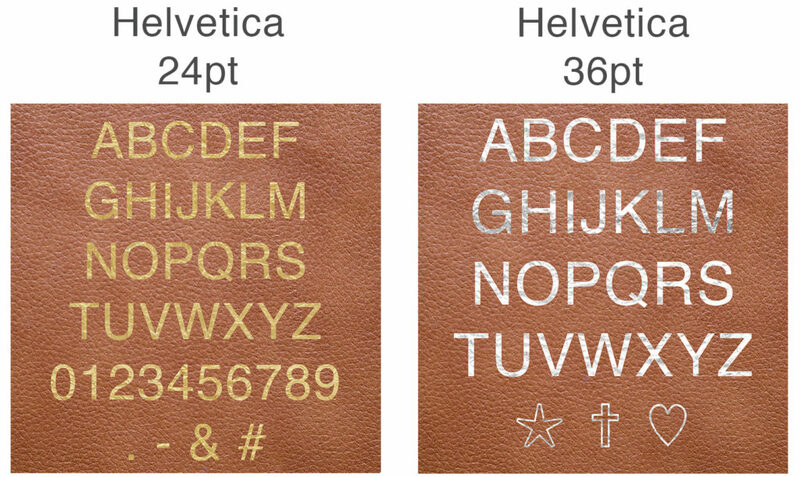 Metallic 22k gold foil is stamped into the leather. Metallic silver foil is stamped into the leather. 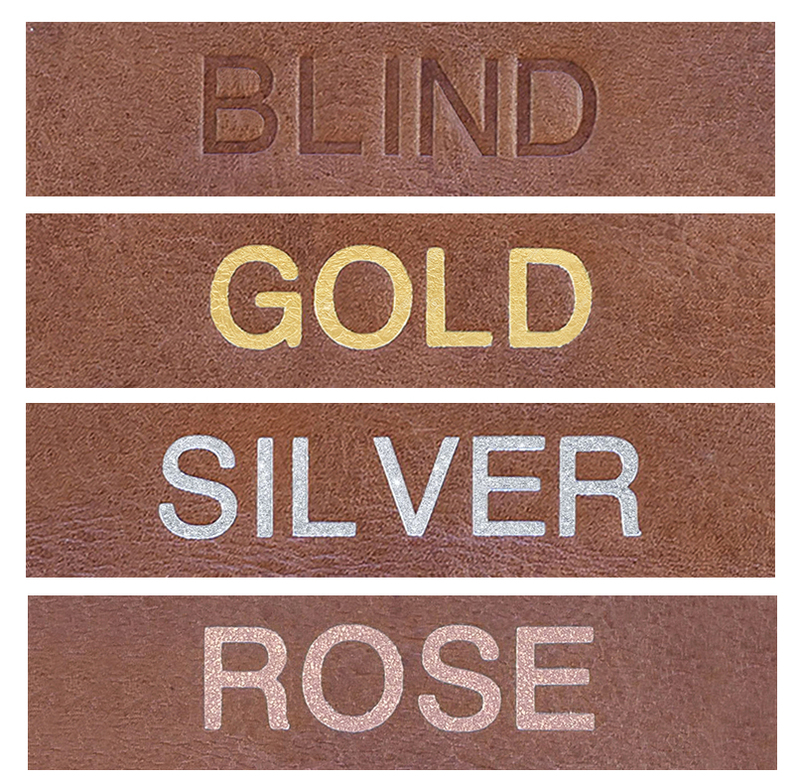 Metallic rose gold foil is stamped into the leather. 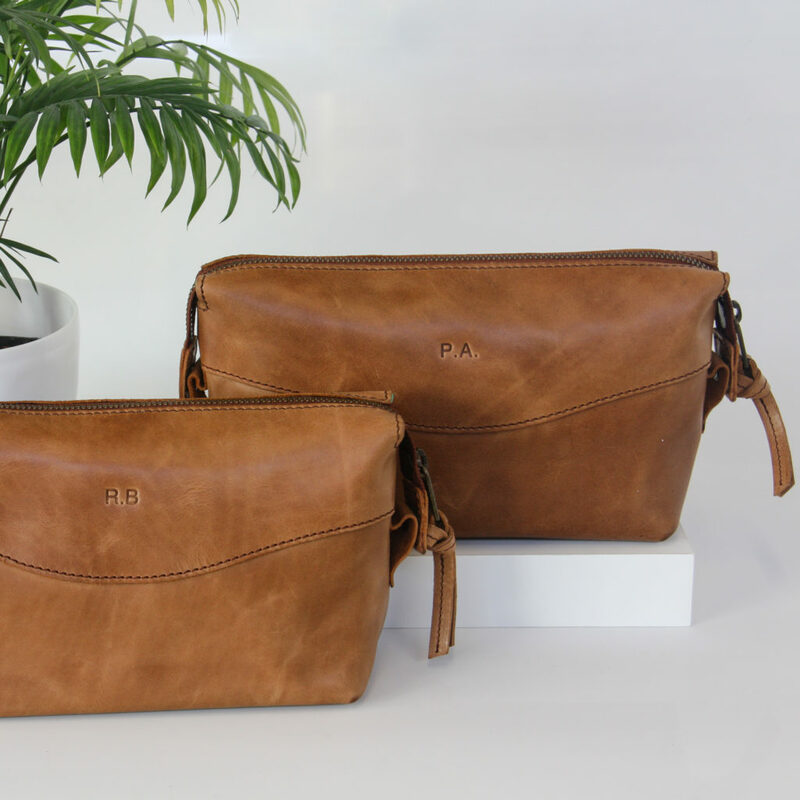 The position of your monogram varies from item to item and is positioned at the most suitable area on each product. If you would like your monogram done in a specific position please contact us and we can see if we can accommodate your request. We will only monogram your bag or wallet. 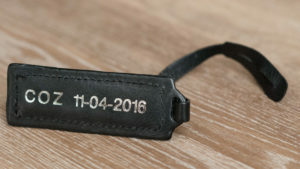 We will monogram your bag as well as the leather tag. In case you wish to have it on a different position please contact us so we can see if we can accommodate your request. own design/handwriting on qualifying orders. Contact us on info@zemp.co.za to get a quote.